I've been doing a lot of talk about candy buffets lately. They're very, very popular right now. 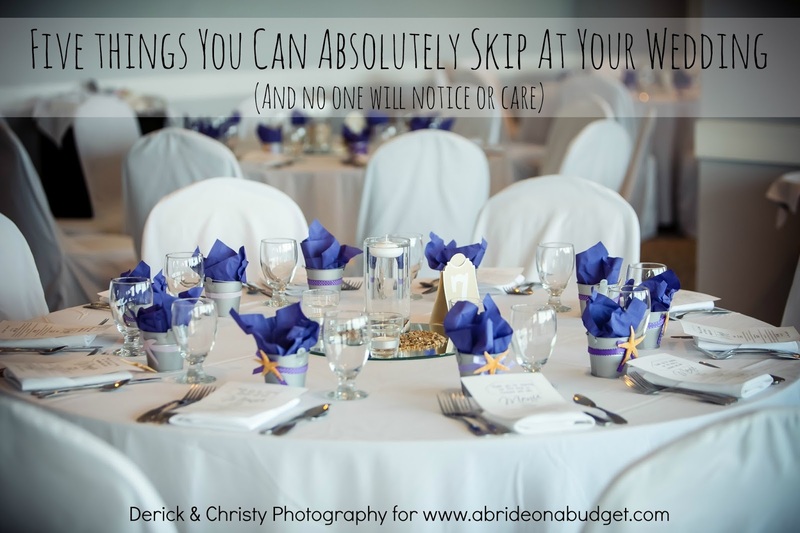 I know so many people who want to do them, but adding another task to the Wedding To Do list just seems impossible. The concept seems simple: buy some candy, put it in containers, display it at the wedding. But nothing is every really that simple. It's a lot of planning, purchasing, and plating. 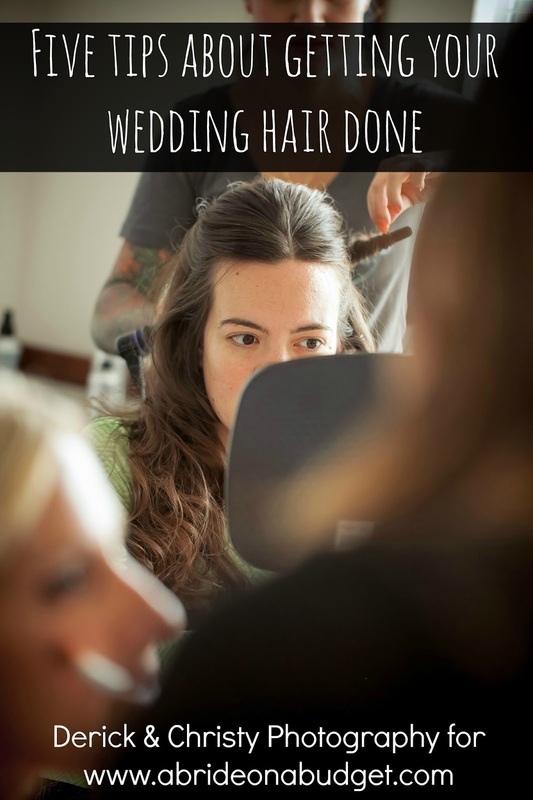 And if you don't execute it properly, it looks like a mess. And it's not worth it if you don't do it right. If you want a candy bar, but want to save yourself the headache of putting it together, you definitely need to check out Edible Weddings & More. We got to check out a few items and it's impossible for me to be happier with them. We are having a beach theme (which you've probably figured out if you've been around here a while). 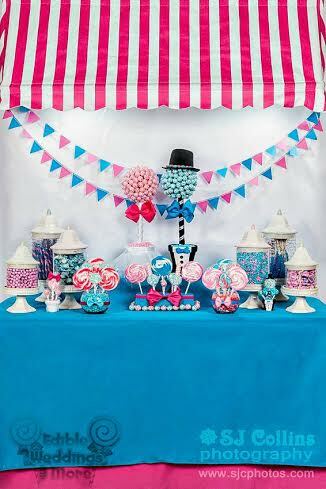 Jamie at Edible Weddings put together a sand bucket filled with lollipops and hard candy, all in our wedding colors. 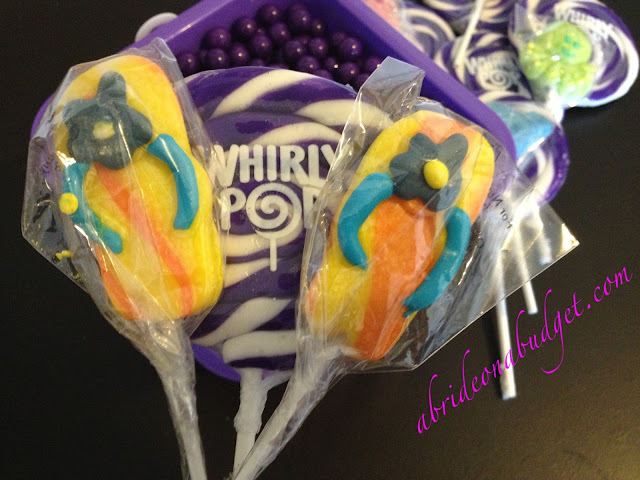 What's actually really cool is that she also added in smaller pops that go with our theme (flip flops and sea creatures). I absolutely think it's adorable. This would absolutely be perfect as part of a candy bar at a wedding, but I think we'll use it as a centerpiece for the kids table at the rehearsal dinner. It's very kid friendly. Not only is it cute and eye catching for the kids, but if they pull at it, I won't worry. Glass centerpieces at a kids table would make me really nervous, and I'd constantly be looking over, hoping nothing fell. With these lollipop centerpieces, the only concern would be the kids picking at it before dinner (and that's not that bad). 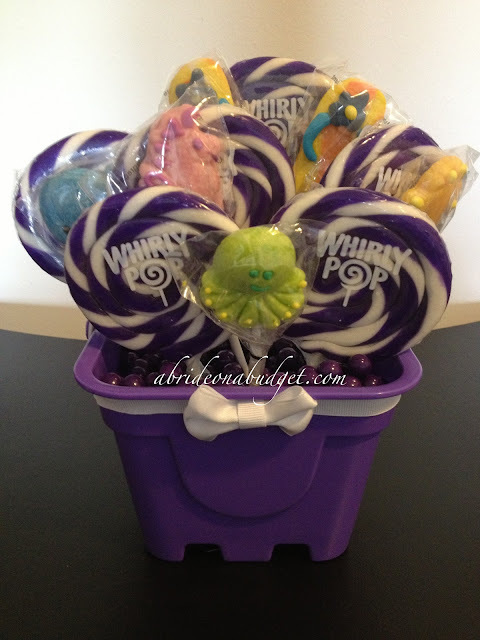 The lollipops are actually glued into Styrofoam that's in the bucket, which is great. You don't have to worry about this falling apart during shipping after you order. It does make it a little tougher to pull out, which means you don't have to worry about a guest bumping into it and ruining the display. 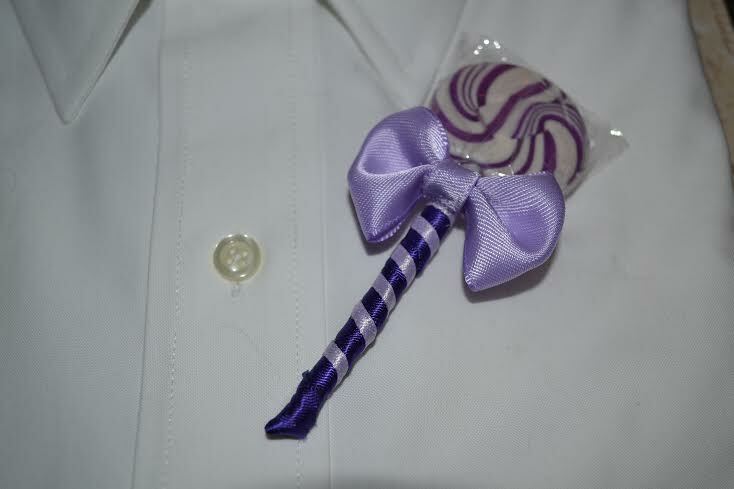 The other item we were sent is something I have never, ever, in my life seen anywhere else: lollipop boutineers. I love them. Absolutely love them. So much that I couldn't wait until Pete got home from work to show him. Even he was impressed with them. On the pack of the lollipop, there's a pin secured by ribbon so you don't have to worry about this falling off and cracking. We're getting small boutineers for our ring bearers for the wedding, but we are going to use these for the rehearsal. Again, she made these in our colors, but you can have them made in the colors that best suit your wedding. If you want a full candy bar, Edible Weddings & More is currently servicing the Washington DC area and as far south as Richmond, VA. If you're outside of that local area, it's okay. You can place an order and have it shipped to you. And there's more than what we received. There are lollipop corsages, hats, even a lollicake. These aren't just for kids either. You can actually have lollipop bouquets for your wedding. That will definitely help save on a high floral bill. I can't tell you how much I loved these items as soon as I opened the box. I'm sure your guests will too. BRIDAL BABBLE: What traditional wedding item would you swap with lollipops? Oh my gosh how perfect! My kids would love those! 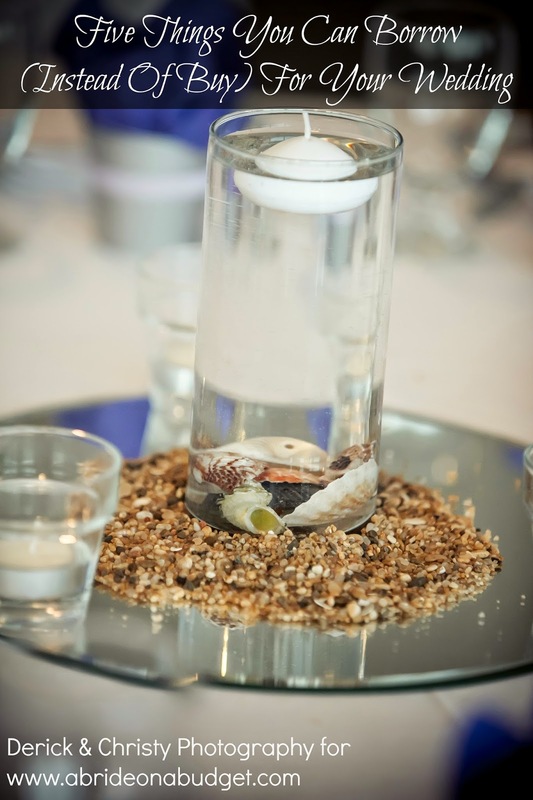 You are right that it would make an adorable centerpiece at a kids table! OMG, what a cute idea! It's amazing all the different options have available to them now. 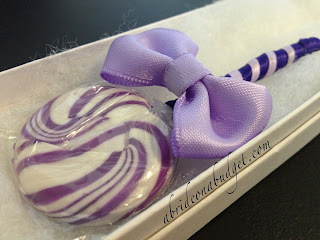 Love the idea of lollipop boutineers. Those would be perfect for the rehearsal (and great in photos too, I imagine). Also I just read your other blog post--who woulda thunk it's that many calories to lick envelopes?! I'm with you--give me the Oreos any day :) Also, thanks for the Twitter follow--you have a great blog here! !